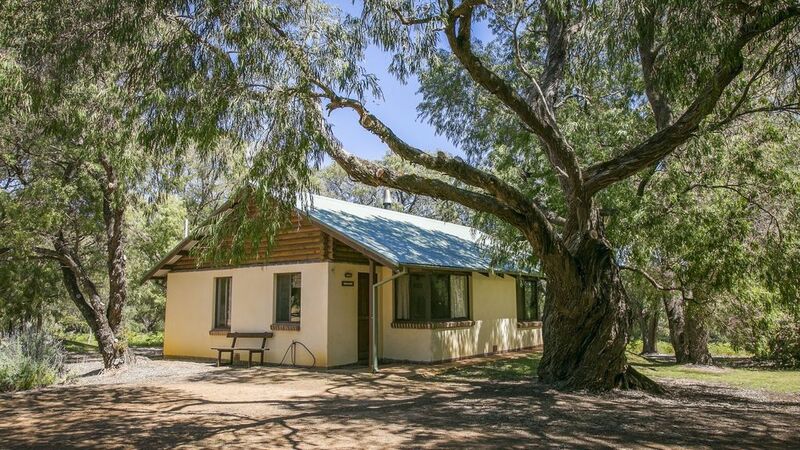 Relax in a fully self-contained cottage nestled under native peppermint trees. Choose from single storey or double storey 2 bedroom cottages. Suits singles, couples, families or groups. Dunsborough is 15 km north-east, Busselton 35kms north or Margaret River 35 km south so whichever direction you choose you will go through many vineyards, galleries and natural attractions on this coastal strip between Cape Naturaliste and Cape Leeuwin. Due to security reasons we can not accept bookings from any school leaver groups in November. Nice and tidy, exactly what we were after. Great location, nice and quiet area, cottage had plenty of space and a good atmosphere, we will be staying again. Beautiful and tranquil location close to everything. The cottage was the perfect relaxed holiday setting. It was very clean and completely self contained for cooking washing etc. the bird life on the property is lovely and it is close to many great bush walks and quality surf breaks. Lovely comfortable farm cottage. Super quiet but close to anything you want. Clean and well stocked. We especially appreciated the small Christmas decorations and treats- we will be back sometime! Enjoyed staying in the Snottygobble cabin. It is roomy for a family of four and has everything we required; the fireplace is handy on the cold evenings. No noise, peaceful and secluded setting on a farm, very friendly hosts. The kids enjoyed feeding the chickens. There is plenty of outdoor space for the kids to roam around. It is close to the local beaches and other attractions, very relaxing and enjoyable. Wyadup cottages were amazing! We had a large group and they were very accommodating of our needs even before we arrived. The cottages themselves were really beautiful and the fire places definitely came in handy. Best of all was the location. We intended to see a lot of Margaret river but ended up seeing a lot of Yallingup and Dunsborough as well, as it seemed to be close to it all. Thoroughly enjoyed our stay and will definitely come back.